We have over 20 years’ experience delivering quality teaching and training that changes lives. 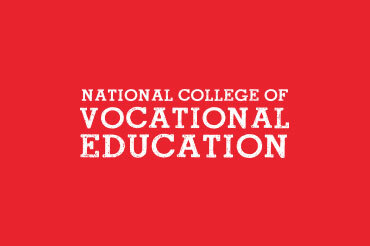 National College of Vocational Education (NCVE) is a Registered Training Organisation (RTO) with a long history of providing individually tailored, nationally recognised vocational education and training (VET) qualifications in business, leadership and management, retail, and hospitality. Our courses and the opportunities that follow change our students’ lives. In 2017, we opened our new International College Campus in South Brisbane in Queensland, Australia. At the same time we registered for CRICOS – the Commonwealth Register of Institutions and Courses for Overseas Students. This means we now also deliver our quality training courses to international students, and we teach English to English as a Second Language (ESL) students as an English Language Intensive Courses for Overseas Students (ELICOS) provider. The aim of our teaching and training is to deliver ‘education for life’. We are passionate about our students’ success both in their careers and their everyday lives. Our expert teachers are passionate about their jobs and our dynamic approach and positive attitudes makes studying with us both an enjoyable and rewarding learning experience for all our students. Our Brisbane campus is conveniently located in South Brisbane, right between South Bank, our city's premier lifestyle and cultural destination, and the wonderfully quirky suburb of West End. 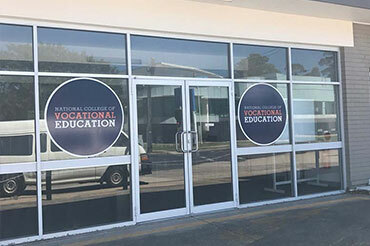 National College of Vocational Education has a large network of like- minded and professional Agents that are able to assist you with the application process, obtaining a visa and organising travel plans to make it easy for you to study with us.